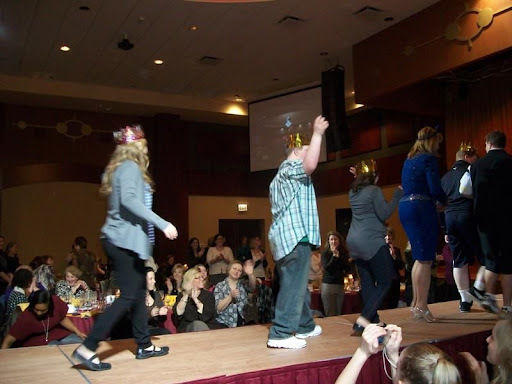 Barbizon Midwest Review: Barbizon & Special Olympics Team Up for the Catwalk! Barbizon & Special Olympics Team Up for the Catwalk! Barbizon Schaumburg has been involved with the Special Olympics Gold Medal Fashion Show Extravaganza for a few years. The Special Olympians love walking the runway in beautiful new clothes and Barbizon takes pride in teaching them how to walk and turn on the catwalk! This event benefits Special Olympics in the Illinois area and has been a dream come true for many of the participants. Barbizon has been committed to helping young men and women go through life with pride and self assurance since 1939! We are privileged to be part of these wonderful events as every one that gets on stage is a winner! Stay tuned for our upcoming blog on the Special Olympics Spring Games with Barbizon!